Locally and nationally, everybody wants to know, What’s Wrong With The Saints? The answers are not easy to come by, though it’s likely the doctors, trainers, and a few psychologists have some of them. The Saints are not total head cases yet, but plenty of people’s heads are scratching, including their own. What A Difference A Year Makes Last season at this time the Saints were opening up daylight on most of the NFC, getting and making almost all of their own breaks. This season, they can’t seem to buy one, including a 29 yard field goal in two losses, and when rookie Cardinal quarterback Max Hall got his block knocked off near the end zone, their tackle scooped up the ball like a loaf of bread for a touchdown, negating a hearty goal line stand by the defense. The rolling helmet and lucky bounce had Hall looking like a Saturday morning cartoon character. And after the Saints slammed him around a bit, he gimped off the field looking as old as the recently deceased former Raider great, George Blanda. Mighty Max! The kid did what he had to do though, which was get the ball to Larry Fitzgerald. Same Old Saints? Sunday’s loss was appalling because of the thoroughness of the self destruction, reminiscent of bad history behind the walls of their closet. However, upon further review, it would be far worse had they not committed so many mistakes, gifts totaling 21 points to the opposition, and gotten beat “straight up” to a mediocre team. That would be much more depressing, and maybe incentive for many season ticket holders to start dumping their ducats for the year. Nothing For Granted For a change, the receivers caught everything thrown at them (except for RB Ladell Betts, who untimely developed Jello fingers), even though most throws were a bit low and short all afternoon. Even Drew Brees cannot be taken for granted with this team. He didn’t seem himself when under handing a softball interception on the fly against the Falcons a few games ago, or on Sunday, when throwing off his back foot (though not under pressure) in coming up way shy of Shockey deep down the left sideline, on that critical fourth period theft. To his credit, the picks in the last quarter were his first in that stanza in 26 (!) games. That left knee brace has a subtle but ominous look about it, as if the quarterback is hurt much more serious than he has been letting on, affecting his mechanics and decision making. This may be one of the best kept secrets in New Orleans. Time Is Valuable At about seven and a half minutes to play, down by 10, the Saints, stuck with bad field position all day, lollygagged it on offense, and surprisingly did not go for it a few minutes later on fourth and short, particularly since they had only one timeout remaining, having burned two in the previous quarter on a long drive (resulting in John Carney’s missed field goal). This team was expected to play with less urgency and more confidence this season, but the deficit and tick tick tick was not conducive to afternoon tea at the Windsor. Ironically, the two lost timeouts were the reason they did not have a real chance to tie at the end. C’mon Man! Audible? The last meaningful onsides kick for this team was made in the Super Bowl by punter Thomas Morstead. Why was he not given the honor Sunday? And glaringly, why did Carney kick to Larry Fitzgerald’s side of the field (and right to him)? There are far more complicated audibles to make in pro ball. Did the special teams coach even have his head in the game? Or was it somewhere else? Taking Stock Despite the second guesses, and post-mortem wonderings, X’s and O’s, turnover ratios, and Red Zone scoring percentages really are not the main problems or challenges awaiting Sean Payton and his staff for what’s left of the 2010 Saints. Getting inside and under their players’ motivational skin is. The entire roster. A year ago, a cause greater than self caught fire, with this team and city. Now nobody seems to know what the cause is, or worse, care about it as much. It’s doubtful that the Captain & Tennille’s bubble gum ballad, Do It Again, One More Time, will replace Stand Up And Get Crunk as a theme song in the stands. As the head coach said in his post game conference, everyone has to do a better job, starting with him. Amen. Payton can get, and keep, his players’ attention, and has done this before. Look what LSU’s Les Miles just did with his, after a week of fan and media lynching that got out of hand. Rallying the troops is a worn cliché for football players, but in your face rarely is, particularly when it comes to the security of their contracts. Chips Anyone? 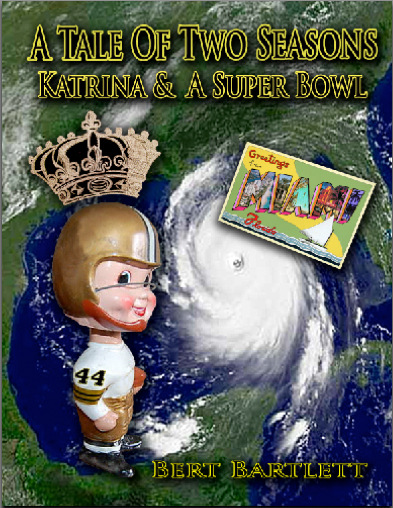 Hopefully New Orleans will go down to Tampa this Sunday, with an eye of the tiger and some chips on their shoulders, without which they have a negligible chance to win, as they are about to run into a pack of unruly knife wielders in Pirates Alley. The Buccaneers and their head coach Raheem Morris have paid some rebuilding dues, and the dividends are starting to pay off. Second year man Josh Freeman looks like a real NFL quarterback on the come, as do other young players. This will be the most excitable game for the Bucs since their ’03 waltz over the Raiders in the Super Bowl, after which Jon “Chuckie” Gruden’s program capped off, and burned out. A longtime divisional pest, the Bucs stole one from the Saints late last season in the Superdome, as big underdogs. If the Saints go down there lethargic and nominally interested, it could get uglier than Tampa Bay’s gaudy red and pewter uniforms. Like – blood in the streets. Bad News, Good News The Saints are suddenly in third place in their division. A loss Sunday would make things look more uphill, as Atlanta appears to be among the head of the class in the NFC at this stage, though there are no world beaters in the conference, or the league, as this is the earliest time in a season nobody’s undefeated since – 1970. Minnesota and Dallas have won one game each. The Lions are starting to learn how to roar. So parity reigns, and the Saints have the time and opportunities on the schedule to get on track and healthy for a late season run, the diametric opposite of ’09, when they broke alertly and showed everybody their rumps. But they can ill afford to give away any more Christmas presents in October. Their altered running style over the next few months will reveal what the back class in their pedigree actually is. Perhaps the entire team and staff should go see the newly released movie, Secretariat, on recreation night. The Saints are in a funk because it’s no fun to play when everyone expects you to win – there is no up side. It isn’t the team iteself, it’s the situation. Its comparable to the late games last year. They are just procrastinating. They can shake themselves and make it happen when they need to. Yes ‘dat is human nature. But it is the team itself as there is no one else out there with the pads on. Procrastination and whenever they want? Well, let’s hope they don’t think ‘dat too much. Cuz ‘dem Saints ‘ain’t goin’ anywhere if that is the case, except likely home for the holidays. They simply don’t have their players back to flicker on and off. Not yet anyway.